A New Chapter Begins! 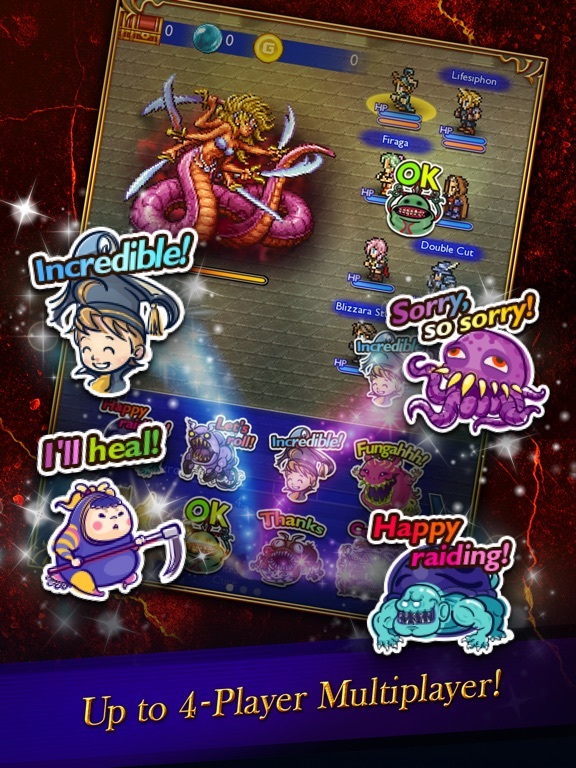 RELIVE your favorite FINAL FANTASY moments in FINAL FANTASY Record Keeper! 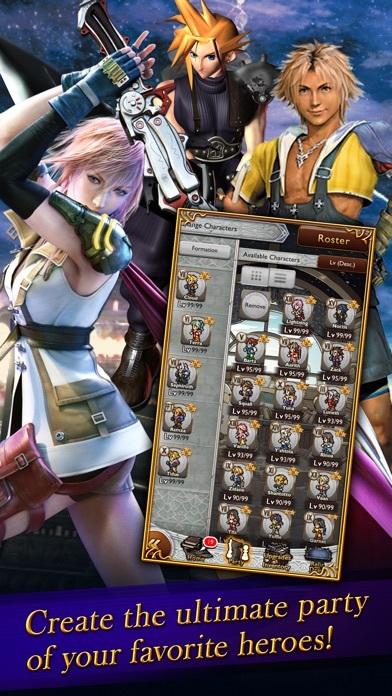 Fight with your favorite FINAL FANTASY heroes, battle through classic FINAL FANTASY moments, restore the lost memories and save the world once again. ---------------------------------- FEATURES ---------------------------------- Classic Scenes Reborn in Pixel Form - Midgar, Zanarkand, Cocoon...the Record Dungeons contain full pixel art remakes of some of the most iconic settings in FINAL FANTASY history, enabling you to lose yourself among the Story Records of adventures past. 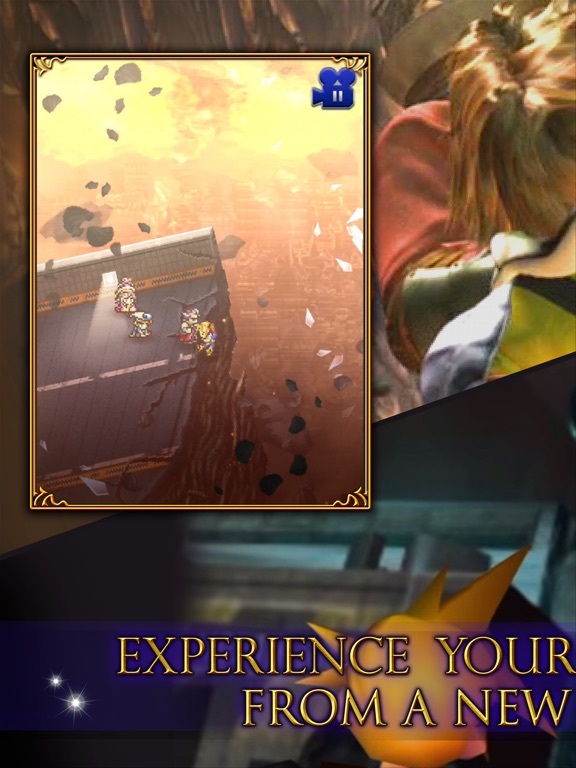 - Experience a whole new story with original characters designed by Tetsuya Nomura, including Tyro, Elarra, and the Shadowsmith. 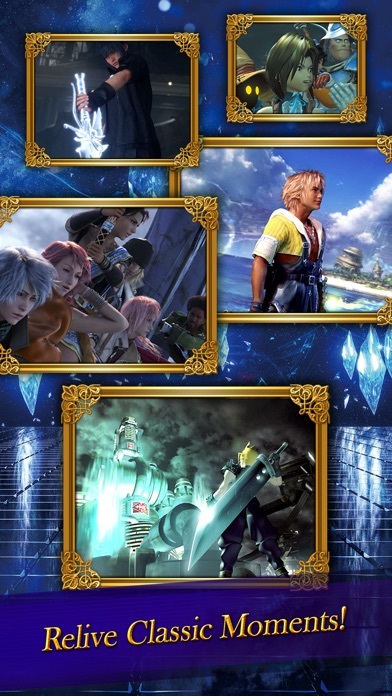 Heroes from Throughout FINAL FANTASY - Cloud, Tidus, Lightning, Noctis...the heroes who saved countless worlds. 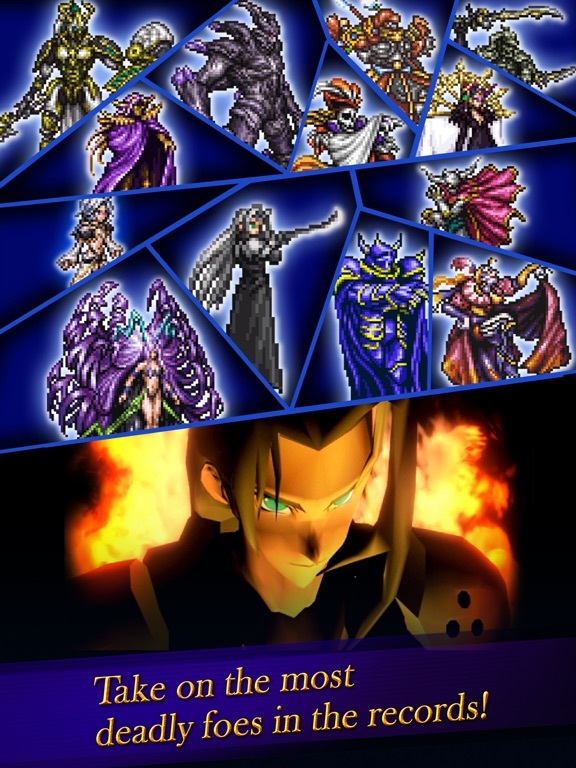 And standing against them, Sephiroth, Seifer, Kefka, and the unforgettable villains of FINAL FANTASY. - More than 200 detailed characters await! Create your own dream party of heroes hand-picked from throughout the history of the series. 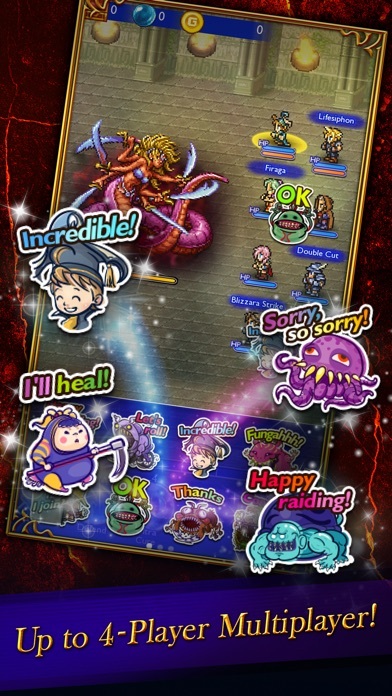 Relive the Original Stories in Battle - Do battle in the classic FINAL FANTASY Active Time Battle system. 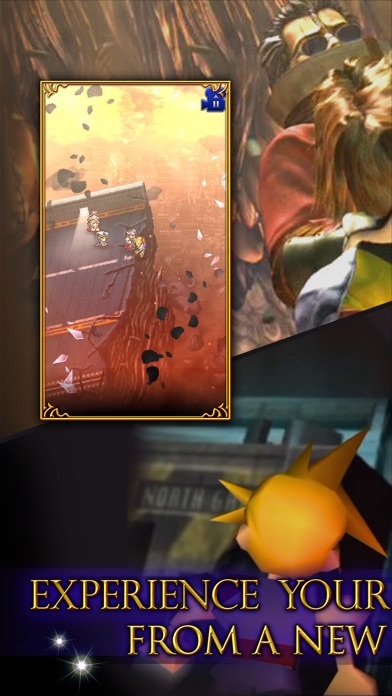 Cross Slash, Thunderfall, Explosive Fist, Meteor, Bahamut... - Use Soul Breaks, abilities, and summons to reclaim the Battle Records. 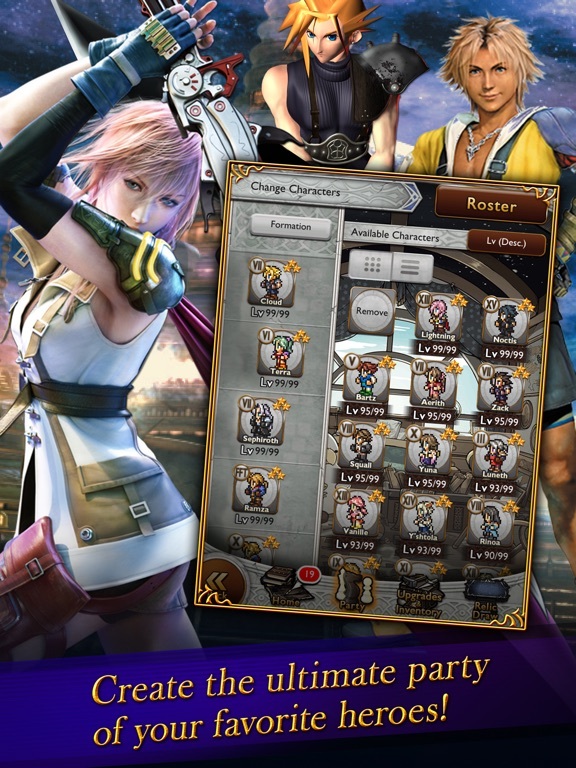 All Your Favorite Music in One Place - The famed music of FINAL FANTASY stirs memories of battles in distant lands. 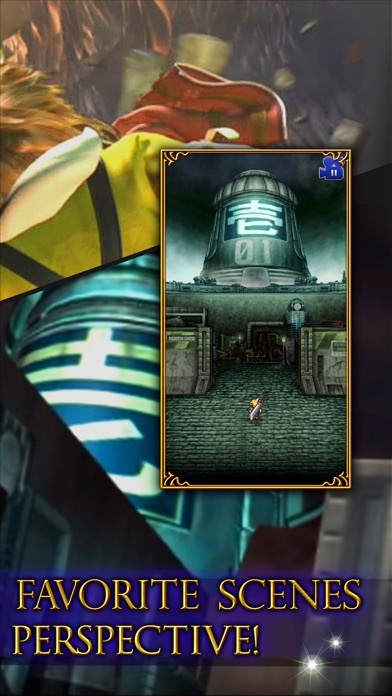 Many of these tunes are reborn in new FFRK original arrangements. - Visit the Music Hall to listen to your Music Records whenever you like. 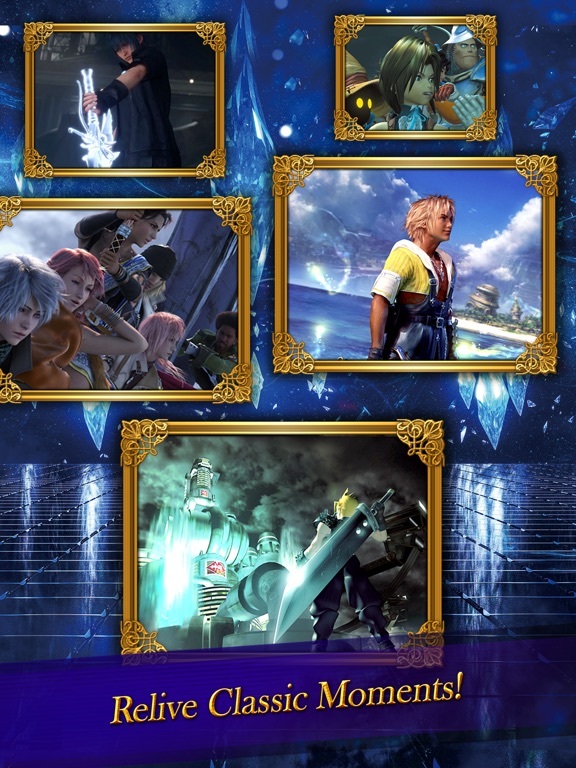 Then select your favorites to accompany you on your journey through the realms of FINAL FANTASY. Multiplayer with Your Friends - Enjoy multiplayer that supports up to 4 players. Use original stamps to communicate with your allies as you forge a strategy to work together and take down deadly foes. ---------------------------------- STORY ---------------------------------- Episode 1 - In a glorious kingdom that thrives on the harmony between magic and art, epic tales of valor and hope have been passed from one generation to the next. - The records of these great chronicles uphold the peace and prosperity of all civilization. The kingdom sealed these records inside paintings, to safeguard the balance of the world. - That is until, without warning, the records within the paintings began to fade away... Darkness fell upon the world, bringing catastrophe and ruin. The time has come for you to save the kingdom’s future. Episode 2 - Tyro has restored the Battle Records held in the paintings, protecting the world from a terrible threat from beyond. Now as their investigation continues, they discover an ominous magic emanating from mysterious Corrupted Paintings. But these paintings do not hold Battle Records like the others. - These new paintings hold Story Records chronicling the adventures of great heroes from across the realms. 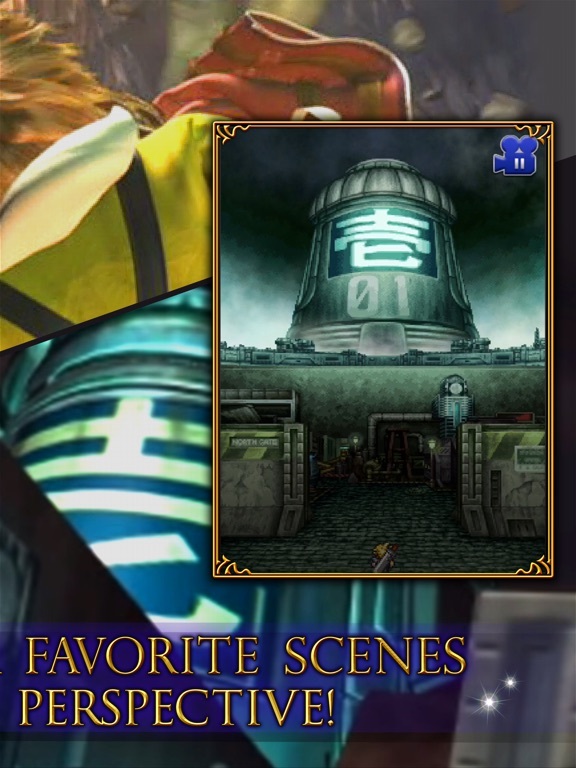 ---------------------------------- EXPERIENCE ---------------------------------- - A bunch of memorable moments are called out from FINAL FANTASY! 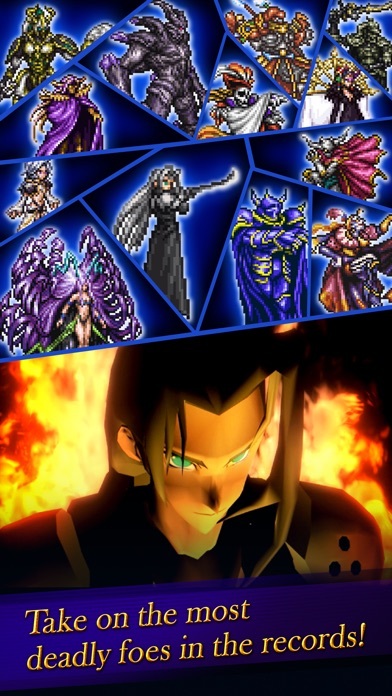 - FINAL FANTASY VII: Lead AVALANCHE against Shinra, and unravel Sephiroth’s plans… - FINAL FANTASY VIII: Take your place in the elite group SeeD, and recruit the powerful Guardian Forces… - FINAL FANTASY X: Battle Sin, and uncover the mysteries of the lost city of Zanarkand… - FINAL FANTASY XIII: Rise up against the fal’Cie, and discover the true history of the world of Pulse… - And many, many more... © SQUARE ENIX CO., LTD. © DeNA Co., Ltd.